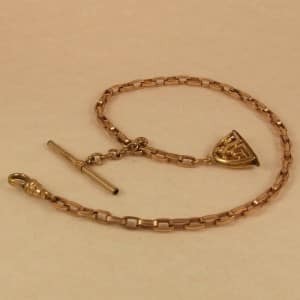 A solid gold watch chain with a bulldog clip. 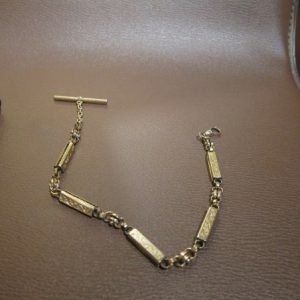 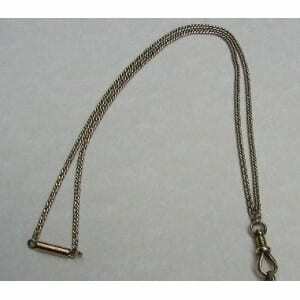 As a later addition a gold fastener has been added so that it can be worn around the neck. 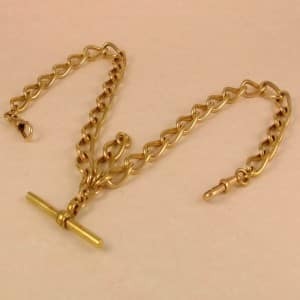 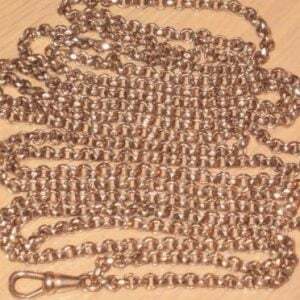 The chain has been tested in 4 places & tests as solid 9ct gold (no hallmark) weighs 6.3 grams. 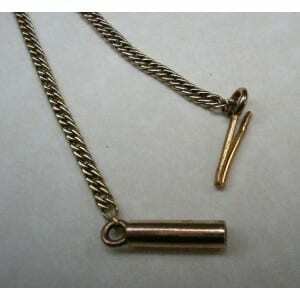 The clip has also tested as solid gold.